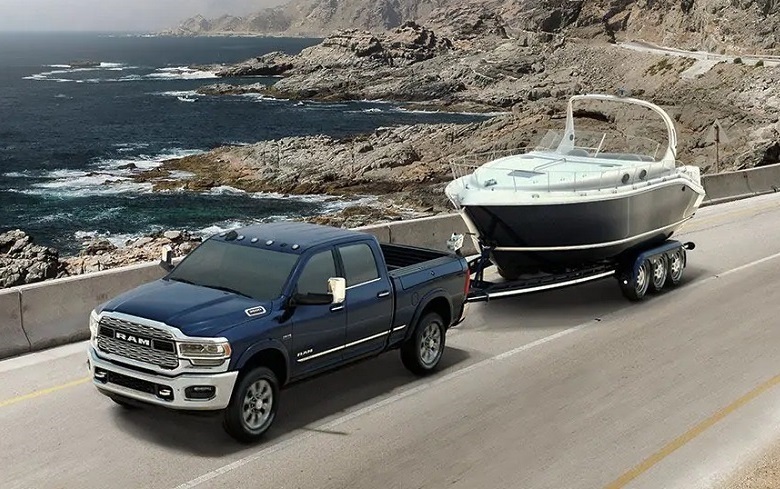 At our RAM dealership near Los Lunas Santa Fe Farmington, we have a select inventory of new 2019 RAM 3500 pickup trucks. When it comes to RAM 3500 special offers and financing, our dealer is highly-rated. If you haven't found time to explore the new 2019 RAM 3500 in Albuquerque, it would be worth your time to take a look at this truck. Here are a few things you may like about the 2019 RAM in Albuquerque. It's a great-looking vehicle that offers power and comfort. Key features include available leather seating, an impressive 43.3 inches of legroom and stylish grille designs. The RAM 3500 offers a bold exterior design that's constructed using high-quality steel. Whether you prefer a dynamic RAM grille or LED lighting, you can customize your new RAM 3500 in any manner that suits you. Available exterior features include premium LED taillamps, an adaptive forward lighting system, RAMBOX cargo management system, a power release tailgate, LED bed lighting, power running boards, heated mirrors and power mirrors with memory. Monotone exterior trim colors include Maximum Steel, Pearl White, Flame Red Clear Coat, Brilliant Black Crystal Pearl-Coat, Bright White Clear Coat, Granite Crystal Metallic Clear Coat, Delmonico Red Pearl-Coat and Bright Silver Metallic Clear-Coat. The interior of the 2019 RAM 3500 in Albuquerque provides every amenity that you'd expect in a modern cabin. Your seating options include a split bench seat, bucket seats, sport bucket seats (cloth), heated front seats, heated second-row seats, high back seats, leather-trimmed bucket seats, manual adjustable seats and a 10-way driver seat (power). 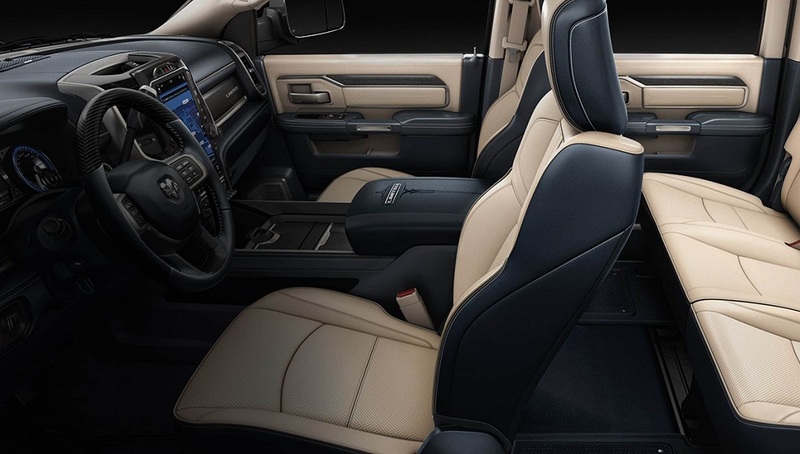 RAM 3500 interior convenience features include a 115-volt power outlet, a 12-volt auxiliary power outlet, a 120-MPH primary speedometer, 4-spoke steering wheel, air conditioning, an auto-dimming rear view mirror, driver assist handles and passenger assist handles. Interior color selections include Black/Diesel Gray, Black, Canyon Brown/Light Frost Beige and Black/Cattle Tan. 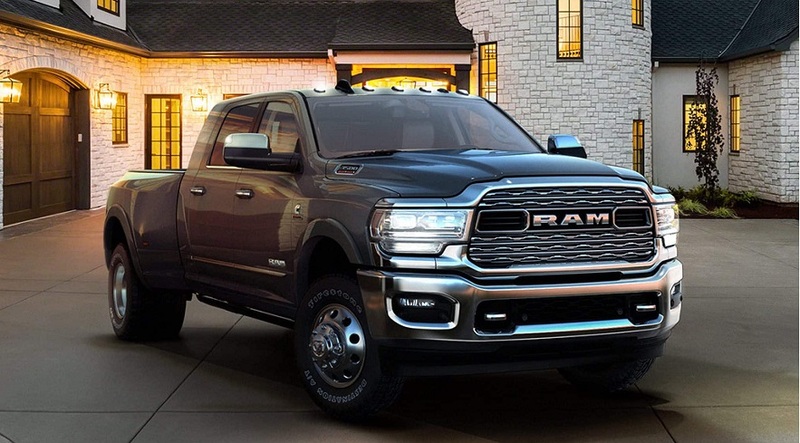 Depending on the model, the new RAM 3500 is available with the following engine options - a 5.7-liter V8 HEMI VVT engine, a 6.4-liter Heavy-Duty V8 HEMI with MDS and a 6.7-liter I6 Cummins Turbo Diesel engine. Engine features include heavy-duty engine cooling, a current generation engine controller, a next generation engine controller and an optional Cummins Turbo Diesel badge. Transmission options include a 6-speed automatic transmissions (66RFE and 68RFE), a 6-speed manual G56 transmission and an AISIN 6-speed automatic transmission. Transmission features include an electric (shift-on-the-fly) transfer case and a manual (shift-on-the-fly) transfer case. Mechanical features include a standard 160-amp, 180-amp and 220-amp alternators. Available axle ratios are 3.73 and 4.10. To get additional mechanical specifications for the RAM 3500 vehicle, contact our RAM dealer. Innovative audio and multimedia features include SiriusXM Guardian Service, SiriusXM Traffic Service, a 5-inch touchscreen display, 5-Year SiriusXM Travel Link Service, Apple CarPlay, an audio jack input (mobile device), GPS navigation, HD Radio, Radio 3.0, a charge-only remote USB port, a single-disc remote CD player and steering wheel mounted audio controls. Safety features include (3) reflecting triangles, advanced multistage front airbags, a roadside safety kit (DOT certified), a fire extinguisher (DOT), keyless go, rear park-assist, remote keyless entry, speed control and a security alarm. This RAM truck has hundreds of features that will delight your senses. If you'd like to test drive this vehicle, we invite you to come to our dealership. In addition to RAM 3500 special offers, we have a lot full of other dynamic RAM vehicles. We look forward to seeing you at our RAM dealer near Los Lunas Santa Fe Farmington.